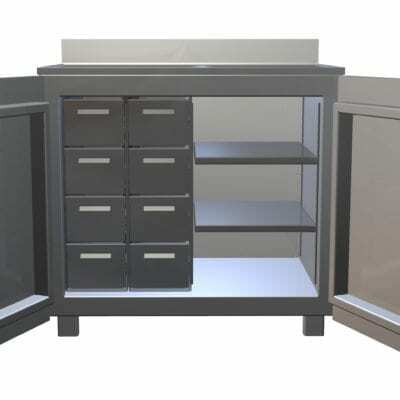 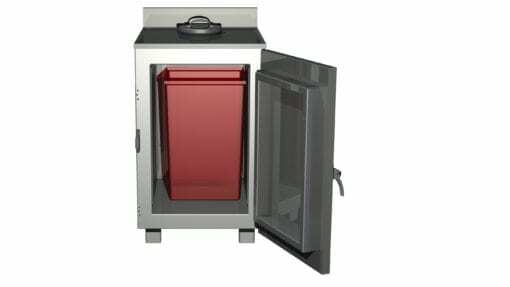 Small Waste Cabinet | Capintec, Inc. 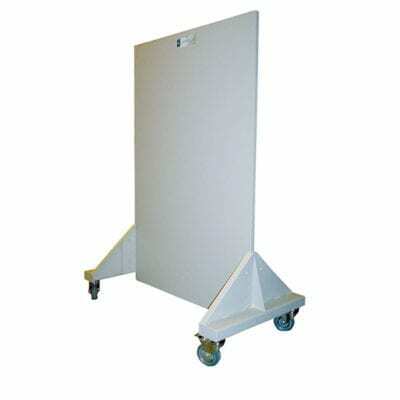 The 22 Inch Waste Cabinet is the ideal space to safely store all of your radioactive waste. 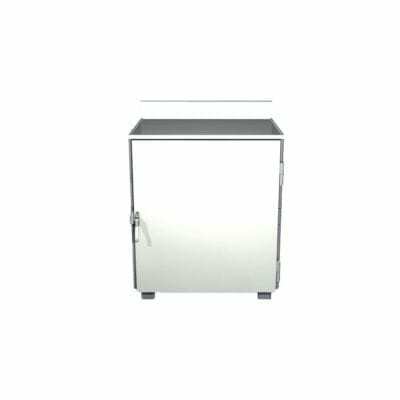 The 19 gallon sharps container will handle significant quantities of materials, which can be stored in the cabinet for decay or until they are moved to a separate decay area. 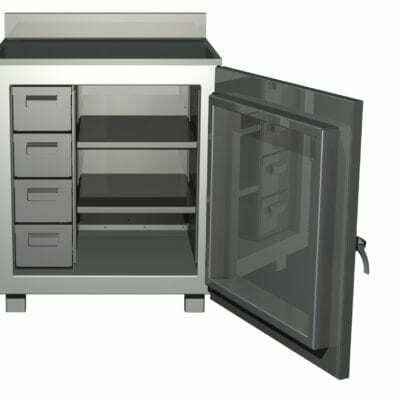 The countertop has a 6” diameter stainless steel lined port with a 1/2” shielded lid for easy access to the active waste container.